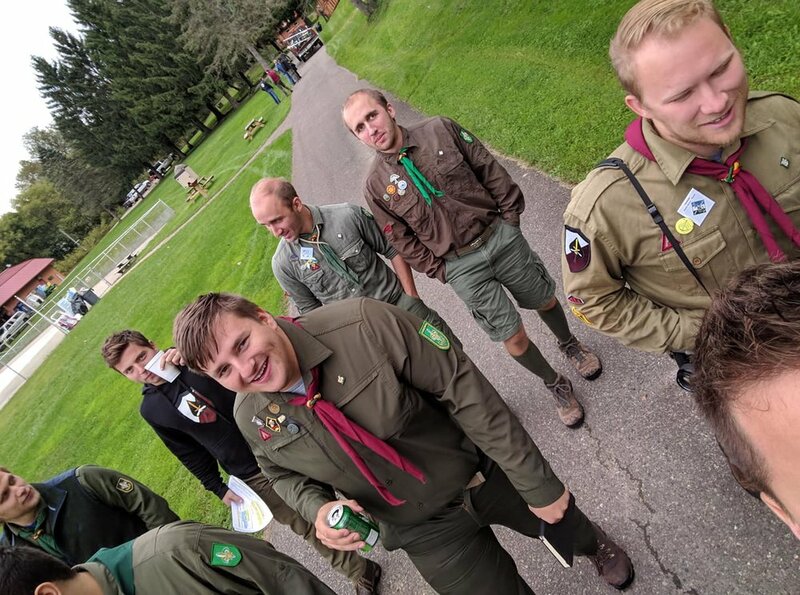 BARABOO, Wis. –The Pobratymy fraternity of Plast Ukrainian Scouting Organization gathered on the weekend of September 28-30, 2018 at the Ukrainian American Youth Association campground Beskyd near Baraboo, Wis., for their 53rd meeting (“Rada”). The attendees from throughout the United States included twenty full members, one candidate for membership, and six additional scouts who were interested in learning more about the fraternity and its activities. 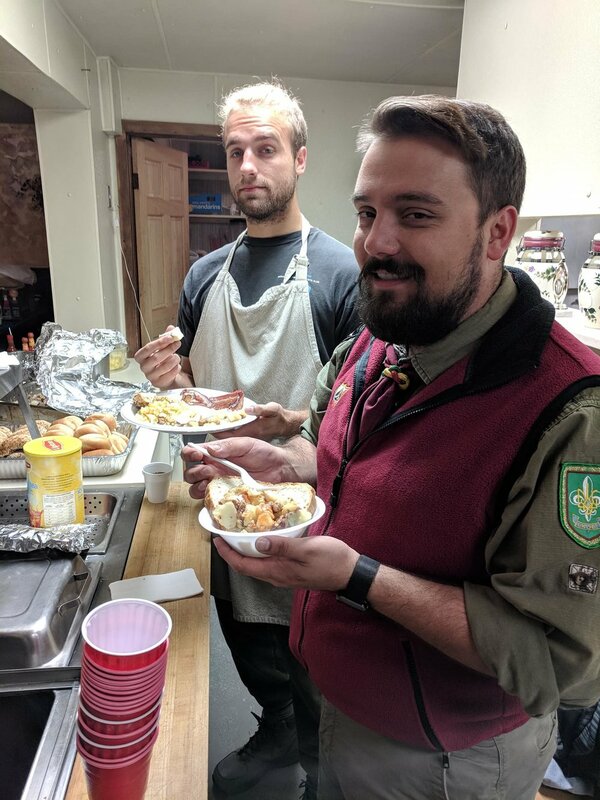 The brisk autumn weather did not discourage participants from engaging in the pre-Rada activities that included canoeing down the Wisconsin River and golf at a nearby country club. Friday evening, while dining on Chicago-style Italian beef sandwiches on the veranda, members and prospective candidates shared stories, anecdotes, and updates on their family and professional life over the past year. They rekindled old friendships and welcomed the next generation of scouts who share the Pobratymy mission of promoting the ideals of Ukrainian scouting. 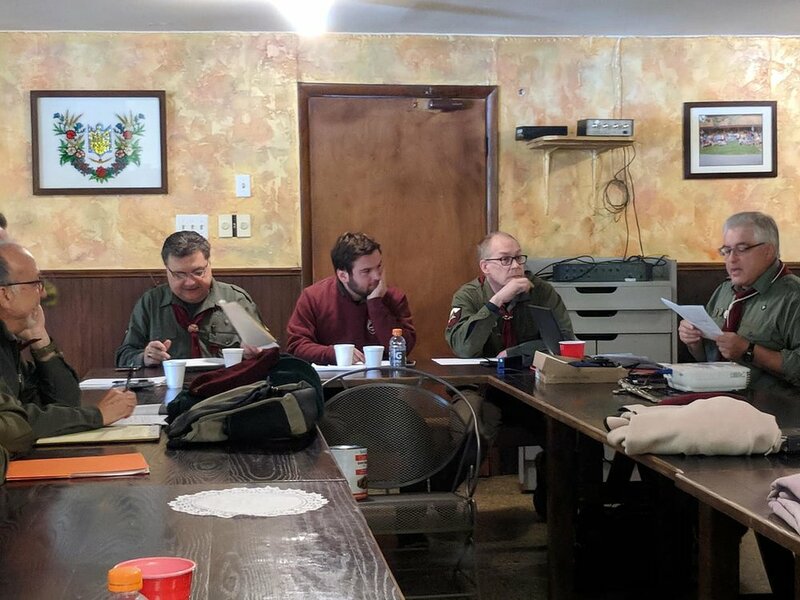 The formal meeting included a review of the past year’s activities, updating of the bylaws, the acceptance of new members, election of new leadership, and development of a work plan for the coming year. The Rada also included a meeting of the Pobratymy Foundation, a 501 (c) (3) charitable foundation that since its inception in 1992 has donated well over $100,000 to Plast causes worldwide. This year’s donations were targeted for infrastructure improvements at Plast camps in Chicago and Buffalo and stipends for campers and counselors in Seattle. As in previous years, the Board of the Foundation also decided to donate in support of the U.S. Plast “HPB” fund for the expansion of Plast programs in southern and eastern Ukraine. The Saturday evening festivities included a traditional campfire and celebration of Pobratymy traditions, songs, and humorous sketches. Members of Pobratymy are active in Plast and Ukrainian community organizations in Chicago, Toronto, Philadelphia, Ohio, New Jersey, and Denver. For over 50 years, the Pobratymy have assisted in preparing Ukrainian youth for life by upholding the ideals of scouting. Readers are invited to check out the Facebook page “Pobratymy – Побратими” and visit the webpage www.pobratymy.org.